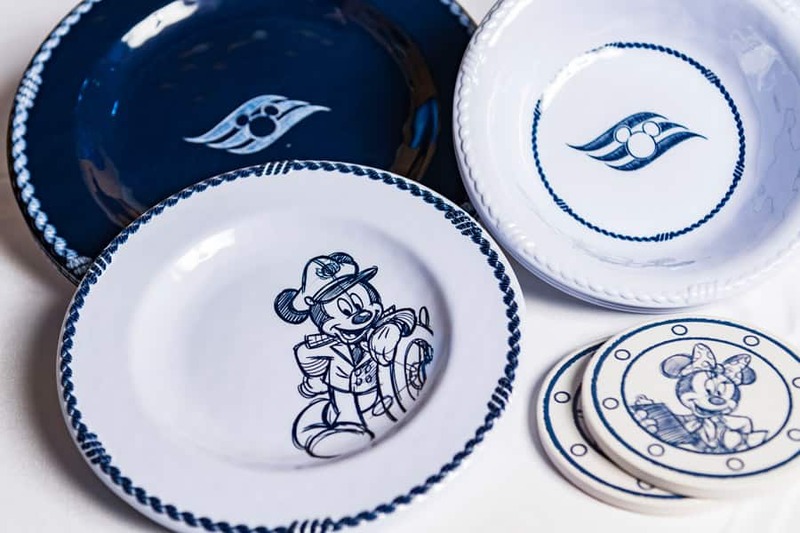 At Animator’s Palate restaurant aboard all Disney ships, guests see Disney characters come to life before their eyes during a unique dinner show…and now, you can bring home the magic of Disney animation with the new Animator’s Palate merchandise collection! 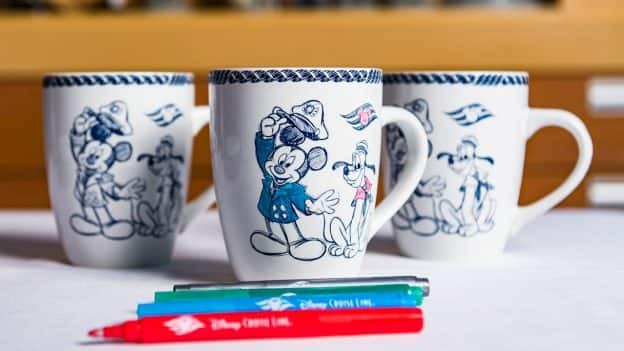 New in 2019, the whimsical Animator’s Palate home collection is inspired by the themed restaurant where guests see sketches of beloved characters materialize throughout the beginning of their meal. 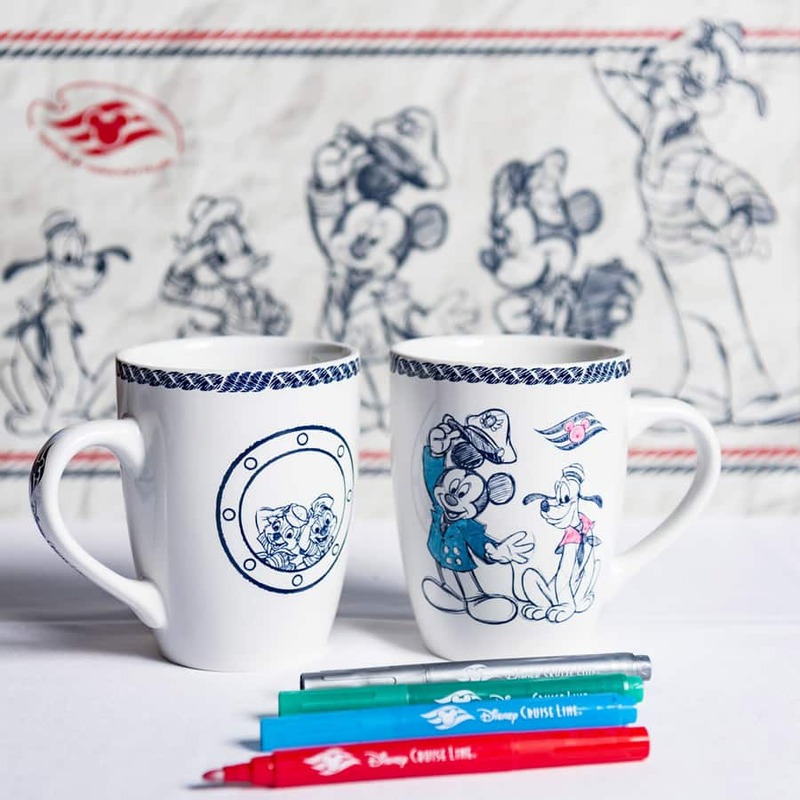 The collection features 14 different home dining items designed with a “learn to draw” art style, including plates, bowls, cups, coffee mugs, wine glasses, coasters and more. 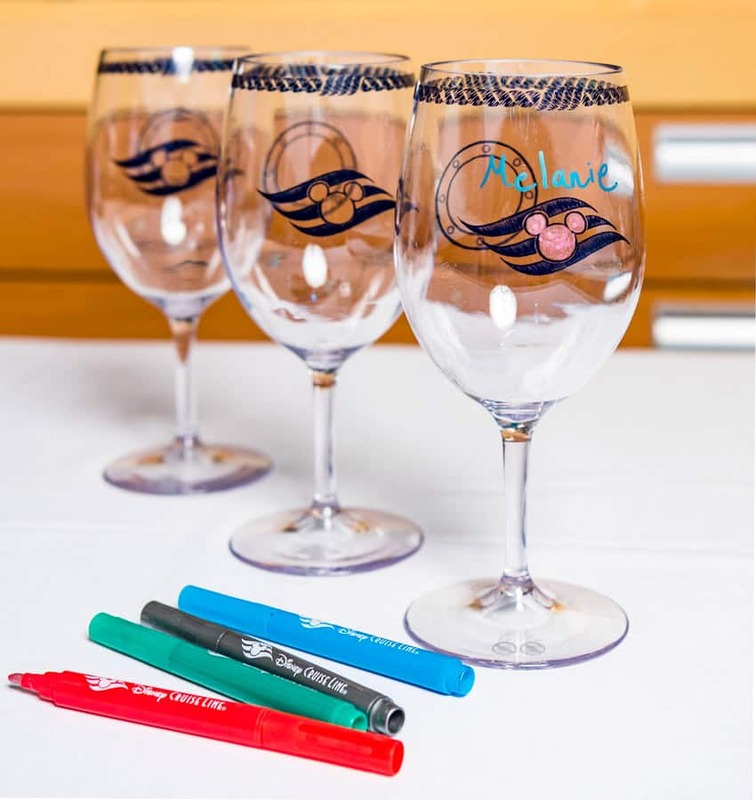 Just like the sketches on the walls of the restaurant magically come alive with color throughout your meal, so can this dining collection! To make mealtime even more creative, several sets include four drawing markers, encouraging all ages to bring out their inner artist…and the markers wash off with soap and water, so it is continuous fun! 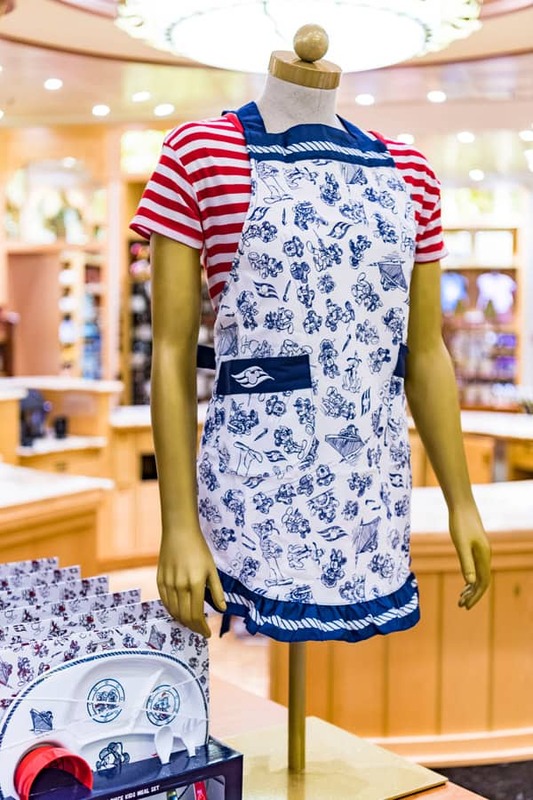 Other playful items in the collection include matching child- and adult-sized aprons, an interactive placement set for little ones, and an ice pop set that lets you make popsicles in the shape of your favorite characters. 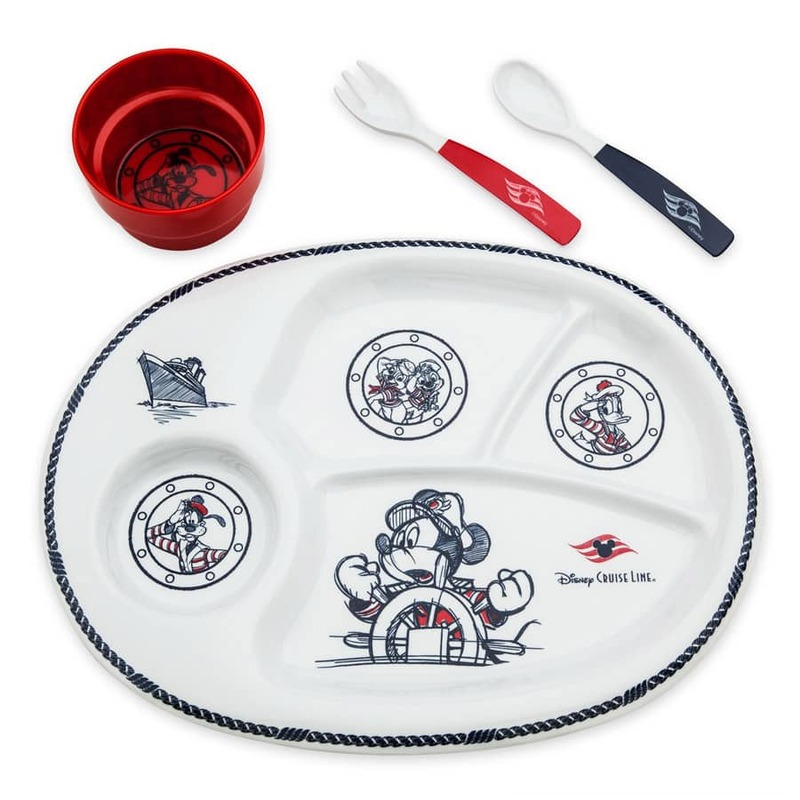 Plus, a kids meal set makes your child the ultimate artist with a palate plate, cup and paintbrush utensils. 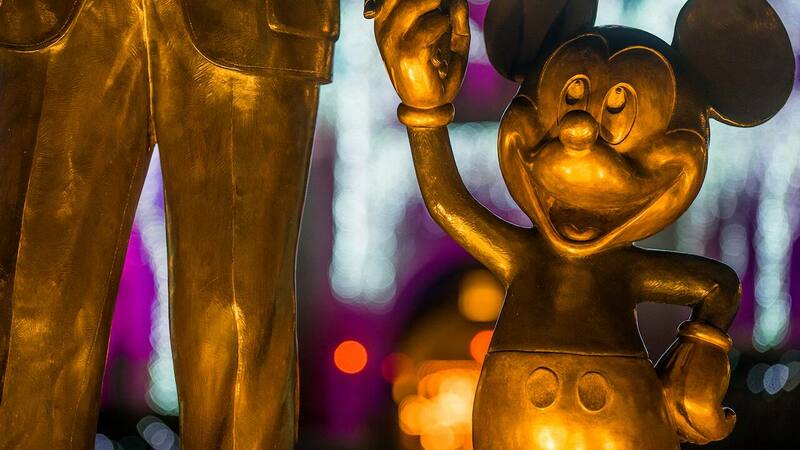 Ready to experience the animation magic? 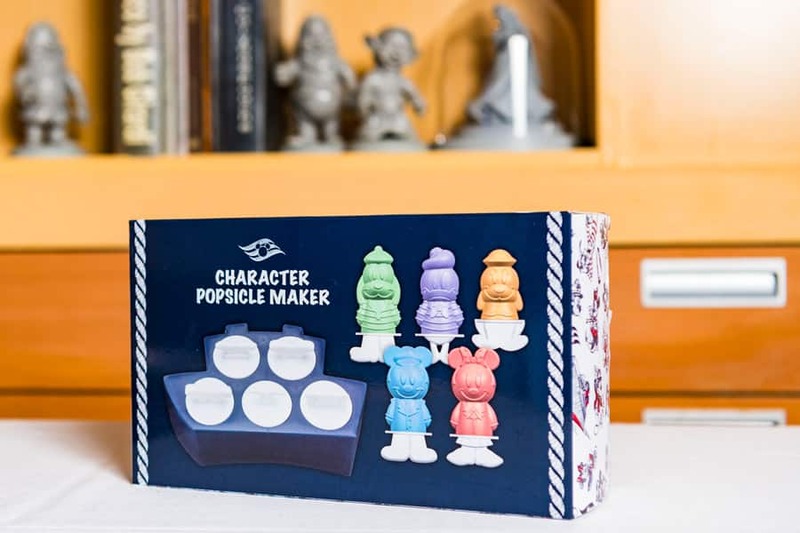 Grab the new Animator’s Palate collection on your next Disney cruise, and learn more about the Animator’s Palate dining experience here. One of my favorite dining experiences has been Animators’ Palette. It’s such a unique experience, especially when you get to ‘design’ your own animation and see it in action. It would be so nice to offer some, if not all, of the merchandise online. Not only have it available on the ships. I love the Animator’s Palette. It would be so nice if they would offer this online as well as on the ships. At least some if not all the items.